I posted a story about my Flight Over Canadian Rockies a couple of days ago. 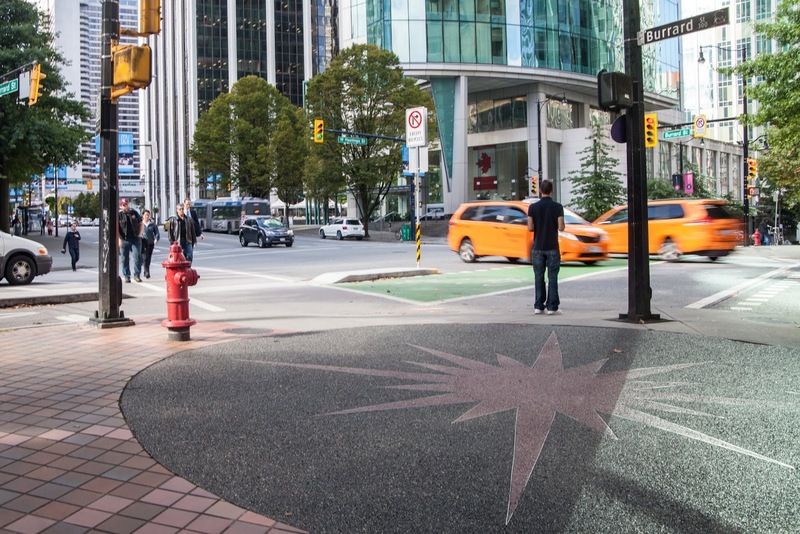 Today I'm going to continue it with a closer look at my favourite city - Vancouver. As a man is judged by his clothes, a city can be judged by its airport or a train station. In this regard, the Vancouver's airport has something to brag about. 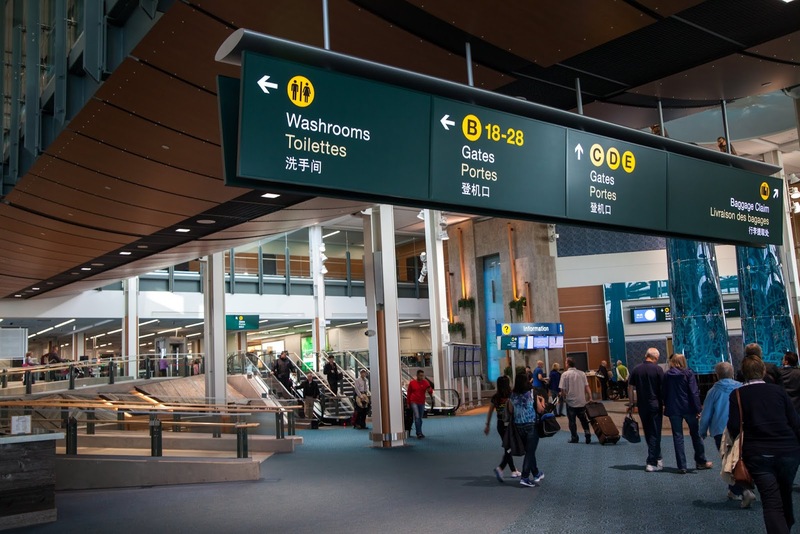 According to Skytrax, one of the most respectful airport ratings in the world, Vancouver or just YVR keeps being named the best North American airport and is constantly among the Top 10 airports in the world. I believe Vancouver airport had greatly improved before the city hosted the Olympic Games in 2010. What is especially interesting is that not only are all the information banners written in English and French, the two official languages of Canada, but also in Chinese. I think there are two main influential factors here: close proximity to Asia and a large ethnic Chinese population in Vancouver. 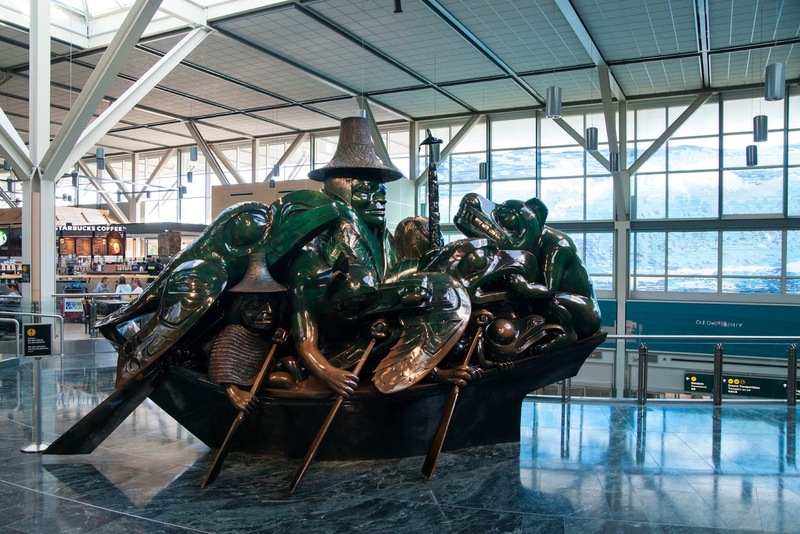 Airport terminals have a large collection of sculptures, dioramas and other interesting features with an emphasis on history, culture and nature of British Columbia. 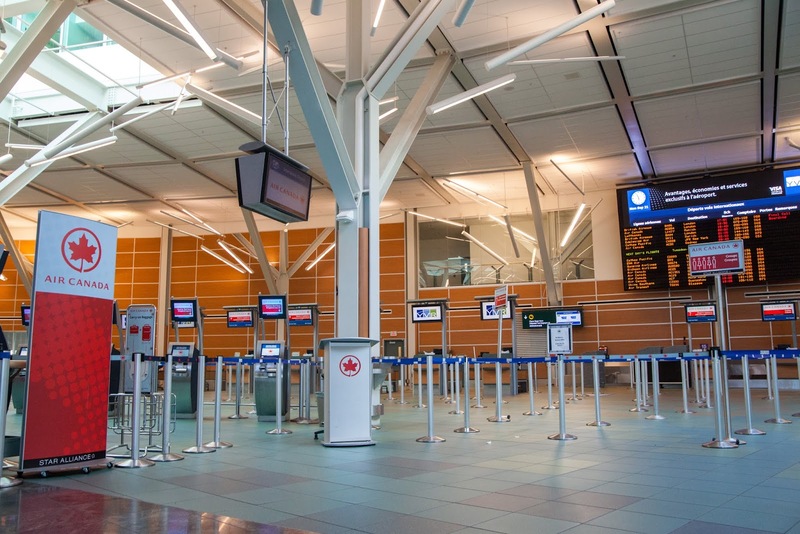 Vancouver Airport is considered the second busiest airport in Canada by passenger traffic after Toronto. Perhaps, I was not there at the right time, but there were very few people in the airport. Montreal airport seemed to me much more busier than the one here in Vancouver. However, the flight map is fascinating - you can get a direct flight from Vancouver to many cities in Asia and even to Sydney, Australia! 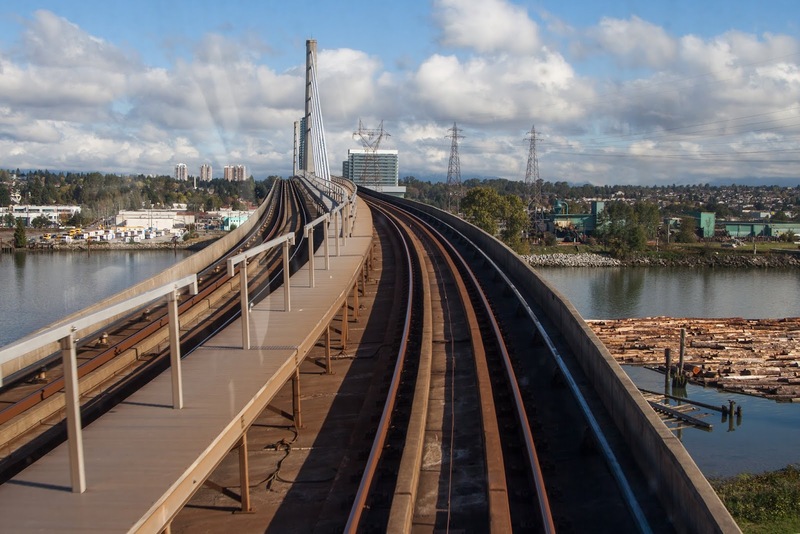 In 2009, right before the 2010 Olympics, the airport, which is located on the island, was connected to the city via a separate subway line called Canada Line. This line uses small yet fully automated trains with no drivers. 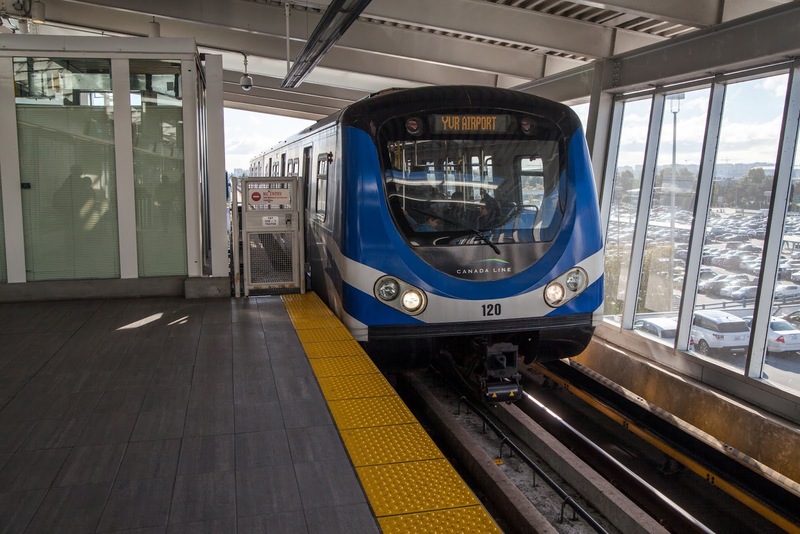 Quite frankly, you get to see similar trains at airports across North America where they connect different terminals, however it's only the second time, after Miami's people mover, I've seen such a train in the city. 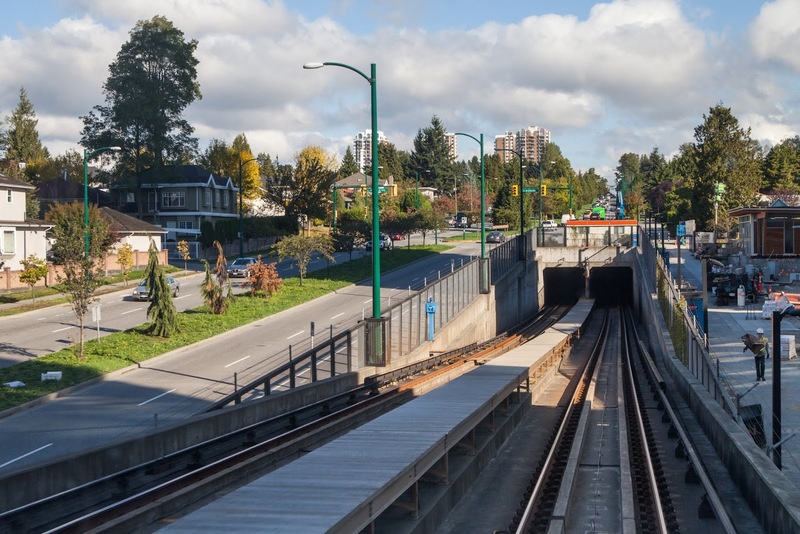 By the way, here is some useful information for those who are going to travel to Vancouver and plan to use public transit: unlimited daily pass will cost you only 5 dollars 75 cents more than a single fare for the subway ride from the airport to the city. Please note that a daily pass can also be used in all buses, trolley buses and even on a sea bus. You may also notice that the fare from the airport is $5 more than the fare to the airport. This is how the subway line gets paid out. A front car gives you an opportunity to feel like a driver. On this photo - we are crossing the same bridge we have seen from high above in the previous post - Flight Over Canadian Rockies. A neighbourhood near Cambie Street looks nice and neat. The subway train finally goes underground to justify its name. I don't really like big cities, but downtown Vancouver is definitely worth visiting. 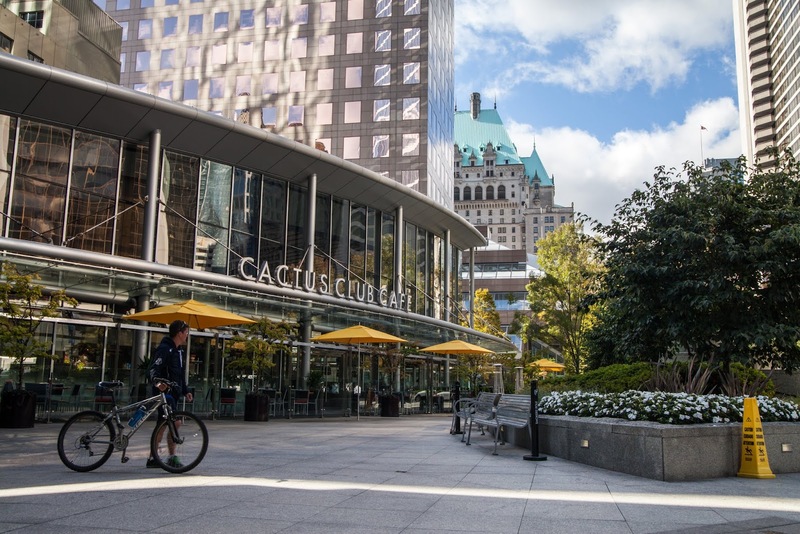 Comparing to Toronto's downtown, where there is a large concentration of metal, glass and concrete, Vancouver's one is much greener and with lots of open space. Traffic is way less heavier than in Toronto. 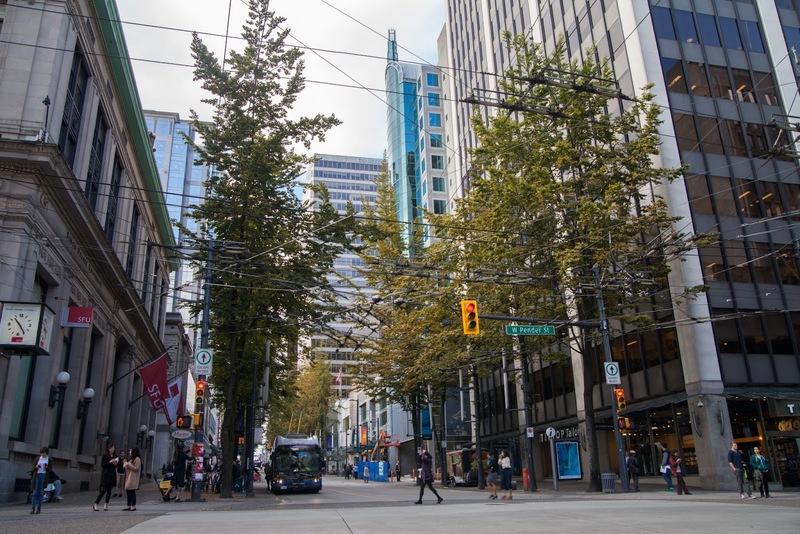 Vancouver is definitely more laid back city, and I felt like there was little to no sense of hurry or bustle in the air. Of course, my opinion could be biased as I've been looking forward to visiting Vancouver since 2009, from the early stages of my immigration to Canada. But that's the way I saw Vancouver and that's how I'll remember it. 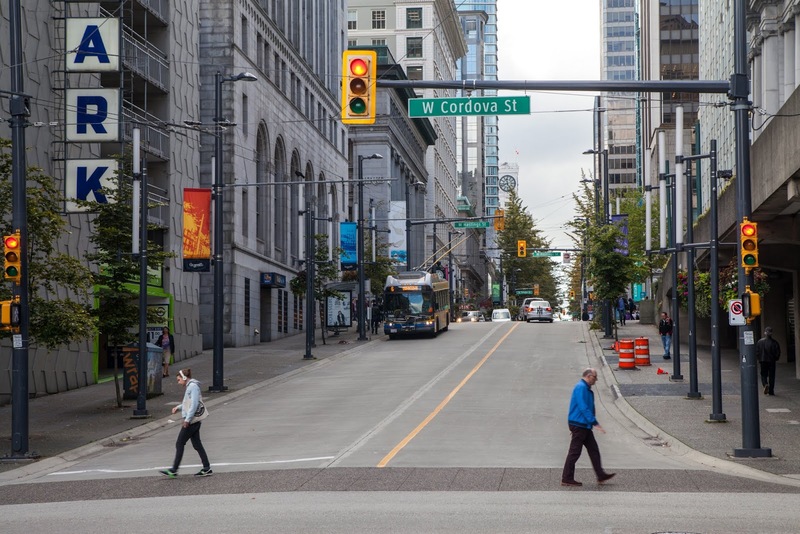 Streets are clean which is true for almost every city in Canada. People are also very nice: several times when I stopped to read an outdoor map, people approached me and offered their help. I believe that's a common Canadian feature - to be nice and to be willing to help for those in need. These wide wooden support structures between buildings - this is clearly something local, I have not seen anything like anywhere this in North America. Trolley buses is my secret passion! 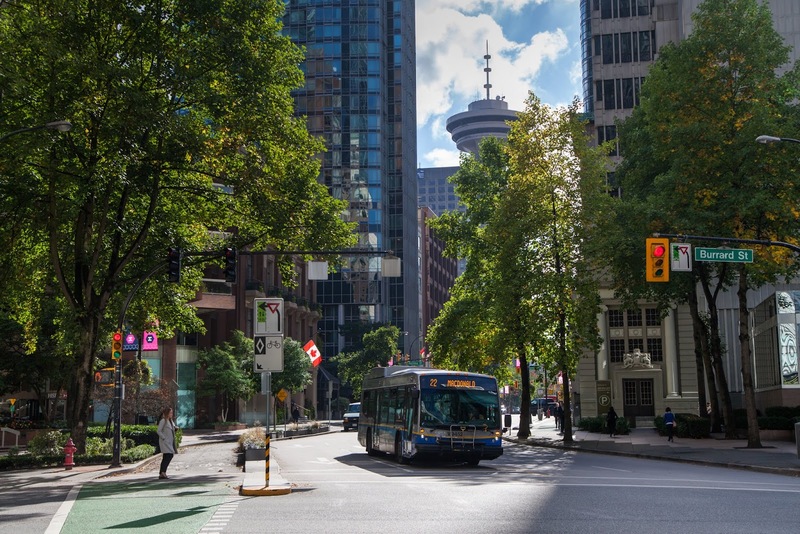 Vancouver is the only city in Canada where they have survived, and where there is no plan to replace them with regular buses. By the way, did you know that until 1992 Toronto also had trolley buses? 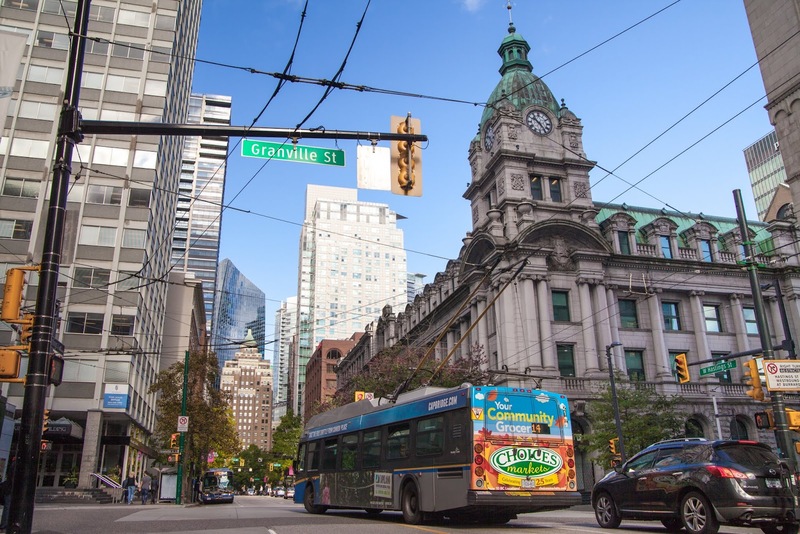 Despite a myth that trolley buses have only existed in Soviet Union and other communist countries, many big cities in Canada and the United States used to have them, too. 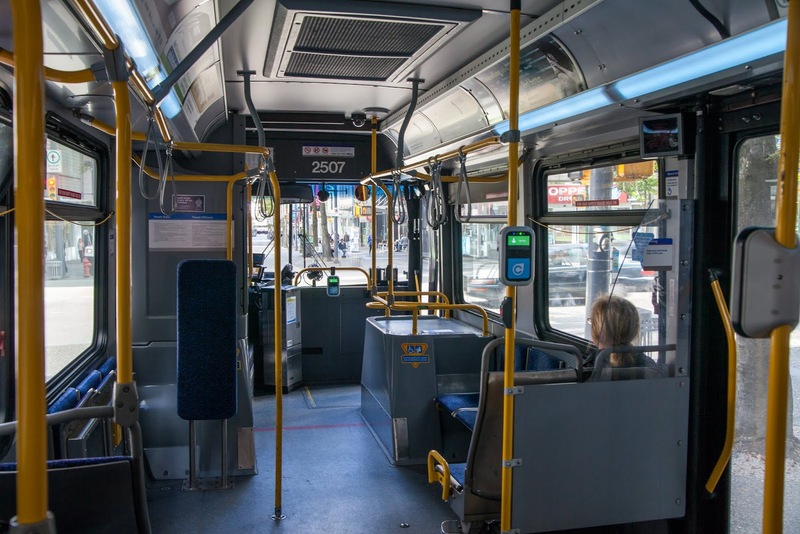 The main reason why trolley buses have yielded to buses is that over time buses became cheaper and more environmentally friendly (they often use a bio diesel now). On this picture - a post office in Vancouver, which currently belongs to the Sinclair Centre shopping mall. A trolley bus inside does not look any different from a standard bus familiar to a lot of my readers. You can see a payment terminal at each door. Greater Toronto also has a similar system called Presto. I was very surprised to hear that the installation cost of one device is $ 25 000. Why is it so expensive? Vancouver has many very nice old buildings like this one. Those who know, please tell me - does downtown Toronto look that green? Even Montreal, I think, is not as green as Vancouver is. 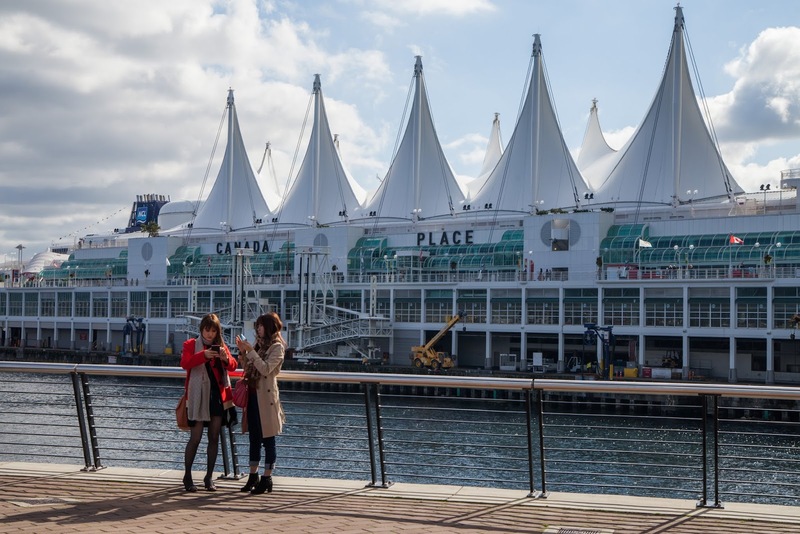 People often think of Vancouver as a city with the largest Asian population in Canada. I will not argue with that as it makes perfect sense given the proximity to Asia. 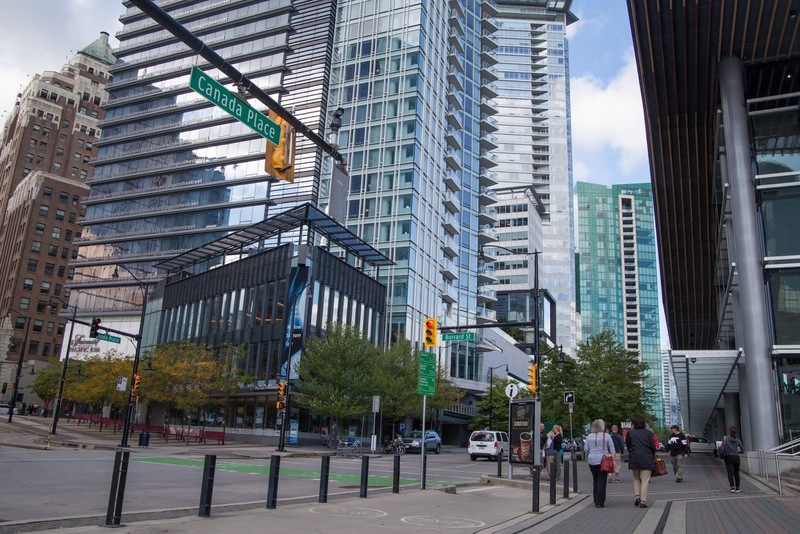 According to the statistics, English is the second language for more than 50% of the Vancouver's population. Here is the observation I have made: while Toronto also has a large Asian population, older people of Asian origin there often speak English with an accent which means that they are recent immigrants. However I've seen quite a few older people of Asian origin in Vancouver whose English did not have any accent. Would be interested to know how accurate my observation is. Building in Art Deco style which was very popular in North America in the 1920s before the Great Depression. 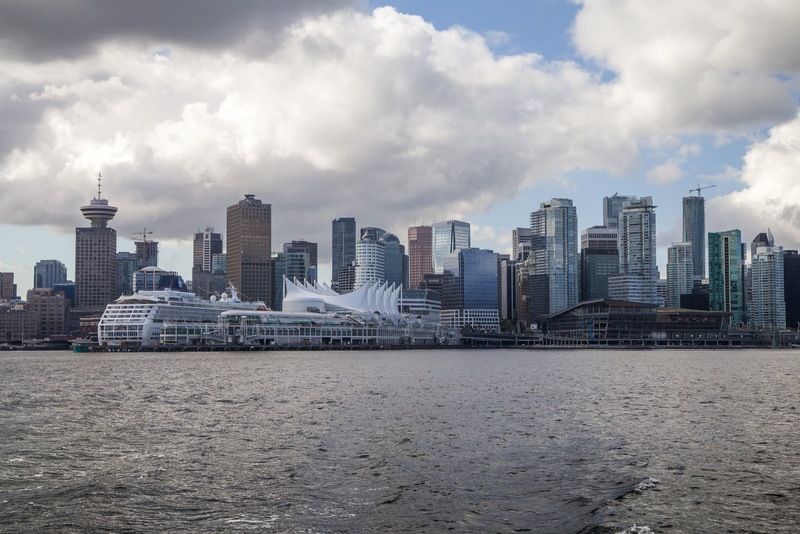 Vancouver city is the 8th most populous in Canada (with the population over 600 000 people), however its metropolis, Greater Vancouver, has a population of 2.4 million people which makes it 3rd largest in Canada after Toronto (6 million) and Montreal (3.8 million). 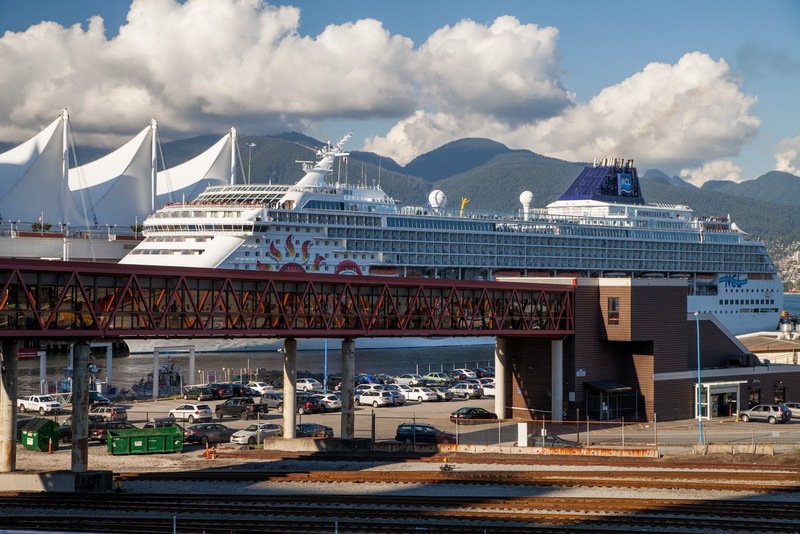 On the background - the Harbour Centre tower which is far from being the tallest building in Vancouver. 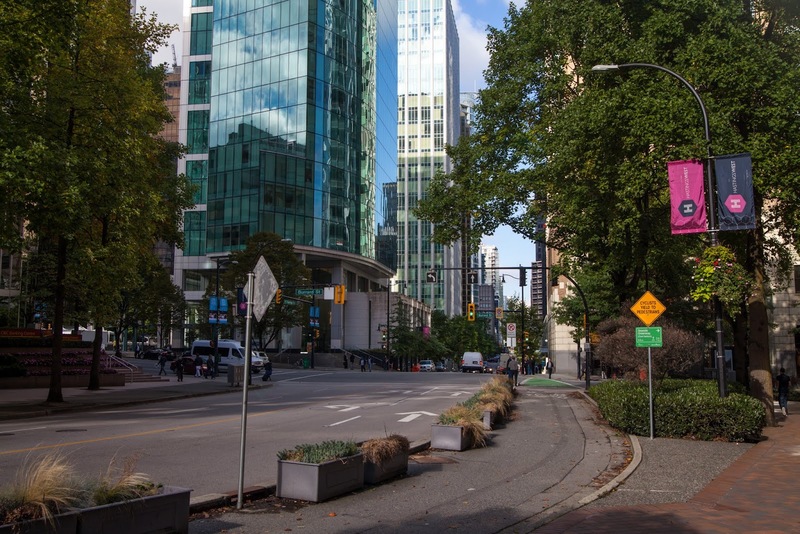 Unlike Toronto's CN Tower which is the biggest and most beautiful landmark in the city, Vancouver's tower is simply lost among other tall buildings. 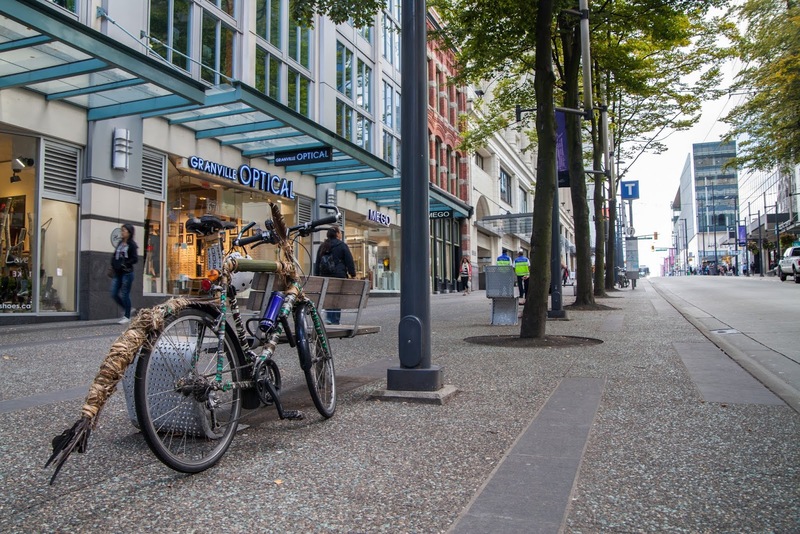 People say Vancouver is the bicyclists' paradise. 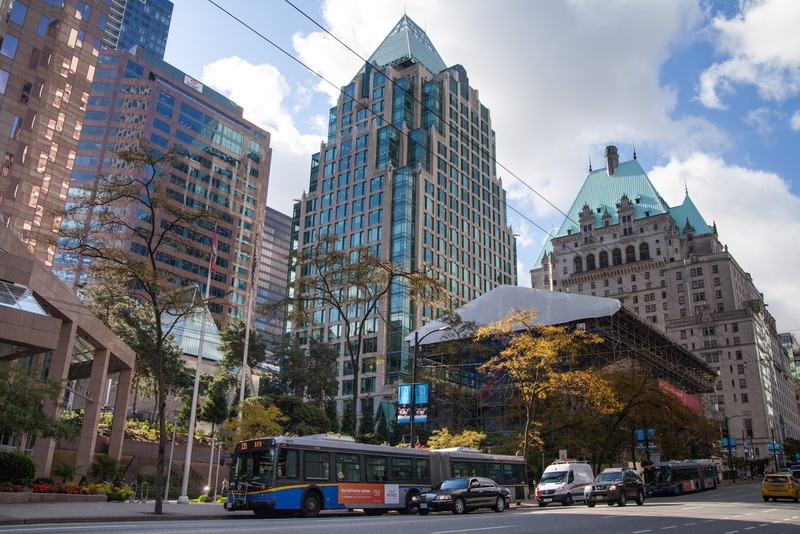 A building to the right which resembles a castle is a hotel called "Vancouver". 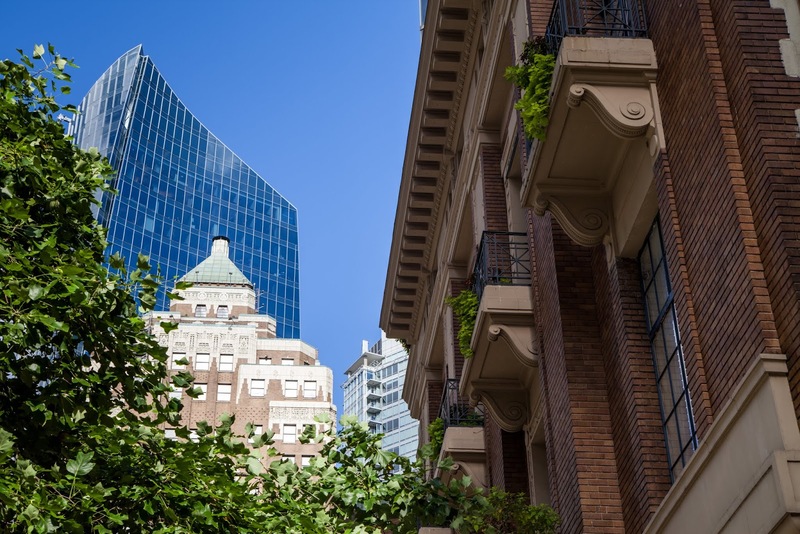 It was built in 1939 and is now part of the famous hotel chain Fairmont. There are other "castles" in Canada that belong to Fairmont. The best known one is "Château Frontenac" in Quebec City. Toronto and Ottawa also have their castles, although they are not as impressive as the one in Quebec City. 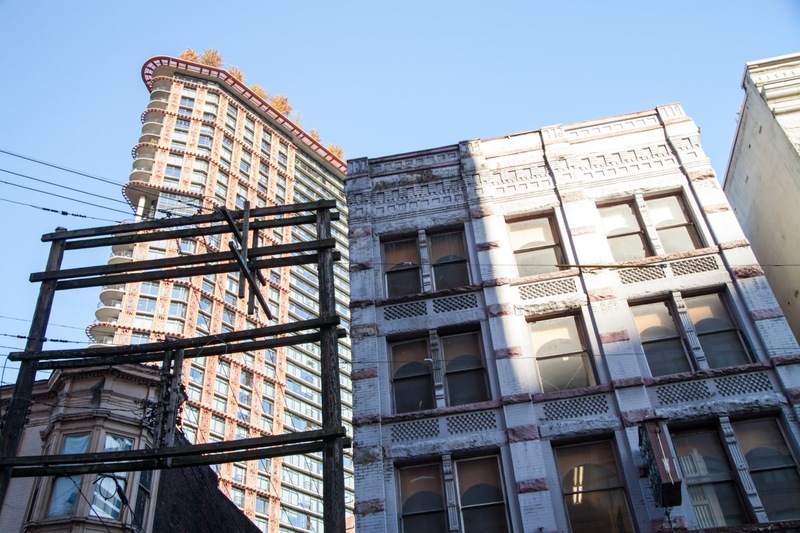 "Lying on top of a building, the clouds looked no nearer than when I was lying on the street." 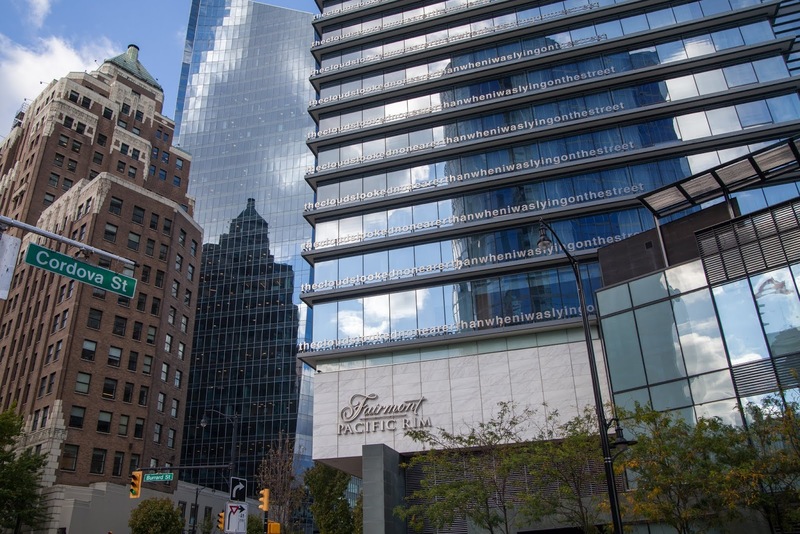 is written across the facade on another Fairmont hotel called Fairmont Pacific Rim. When I finally got by the ocean, everything I've seen so far in Vancouver has simply faded out. Vancouver is the city with the most beautiful natural landscape I've ever seen. Here the mountains meet the ocean. What else do you need for a perfect view? Below is my favourite picture from Vancouver: a vintage steamer with a paddle wheel, a plane taking off, a panorama of North Vancouver and Canadian Rocky mountains. 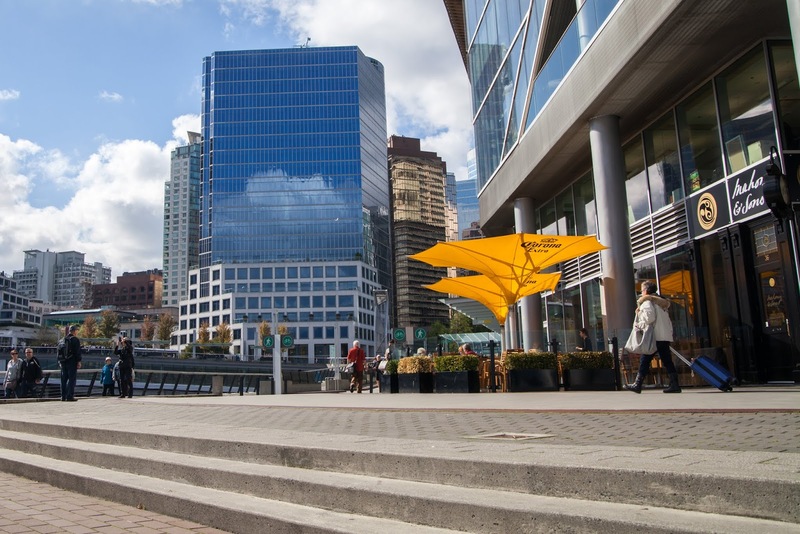 A famous building called Canada Place found its place on the waterfront. Like its elder brother, Sydney Opera House, this building is one of those landmarks that people recognize the most. 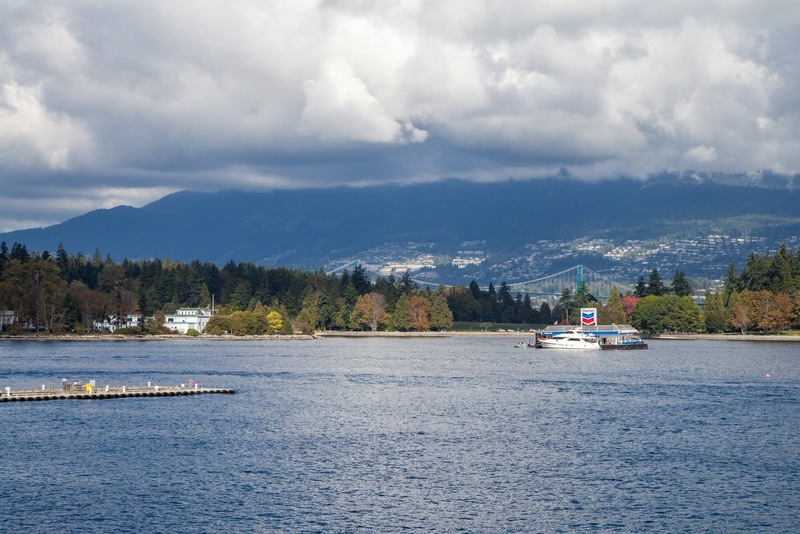 To the left is Stanley Park, much loved by locals and tourists, with lots of bike paths and hiking trails. To the right is Lions Gate bridge (built in 1938) which passes through the park and connects downtown Vancouver with Vancouver North. 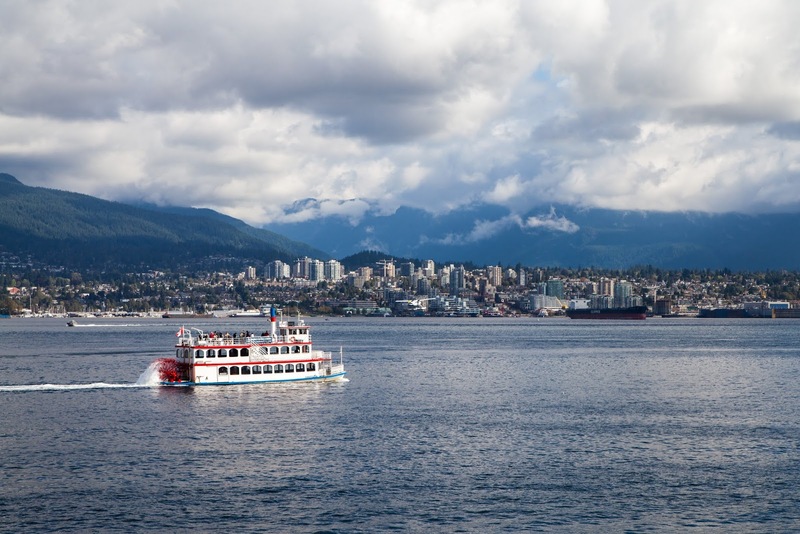 Once I'd known about my 7 hour stopover in Vancouver, I was struggling to choose between visiting Stanley Park or another very interesting place. Eventually I picked another place. Next time, Stanley! 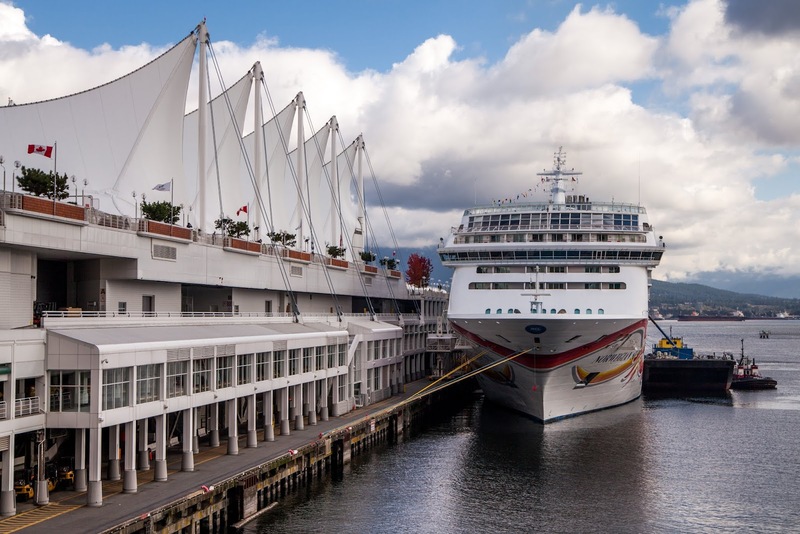 Vancouver is a popular port of call for big cruise ships including those going to Alaska. 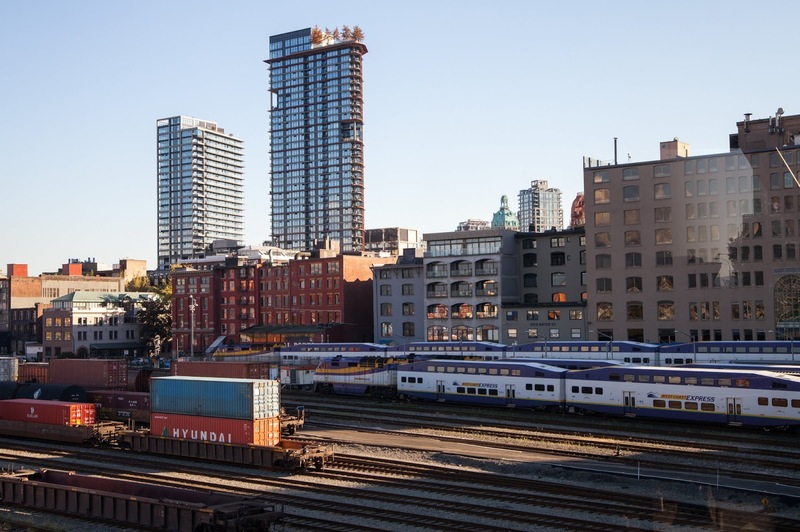 A main train station is located in the downtown core which is true for almost every big city in North America. On this photo - a commuter train Western Express, an analogue of Toronto's GO train. 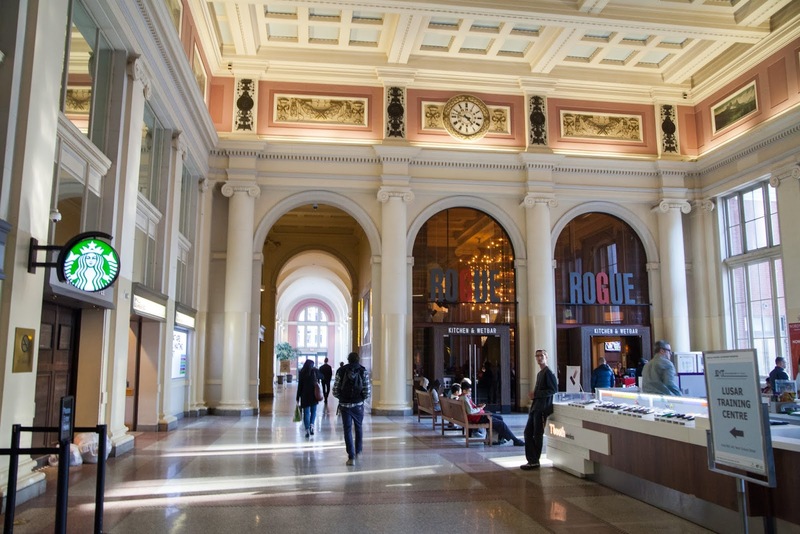 Inside the main train station. 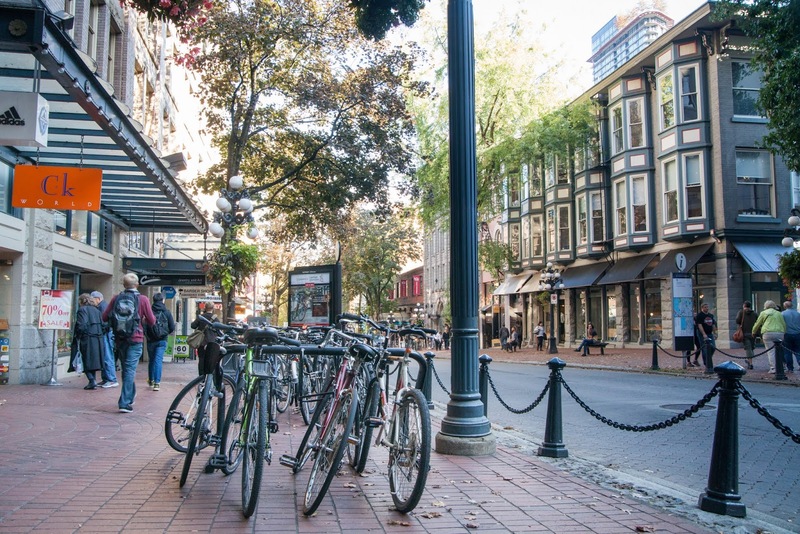 Gastown is a historic centre of Vancouver. This was the name of Vancouver from 1867 to 1886. This rather strange name was given to then small town in honour of Jack Dayton nicknamed "Gassy" (Gassy), a seaman from Yorkshire, who opened the first saloon here. 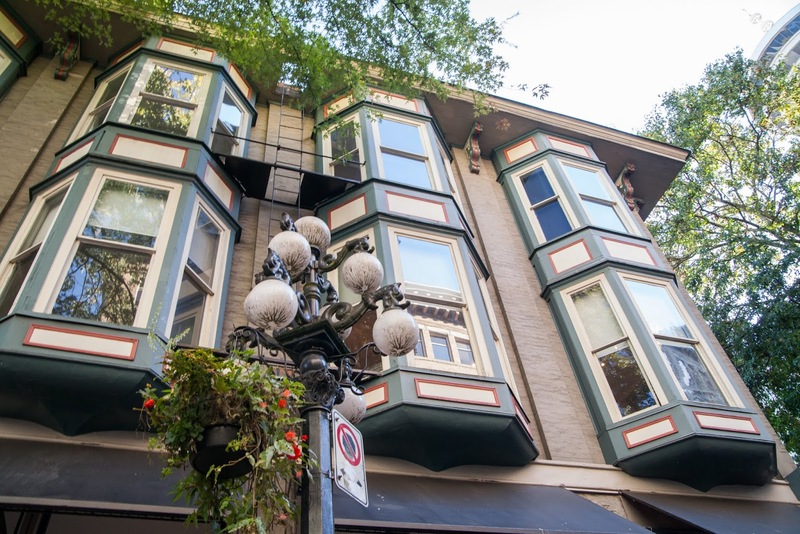 Today, Gastown is a very cozy neighbourhood with many nice stores and restaurants. 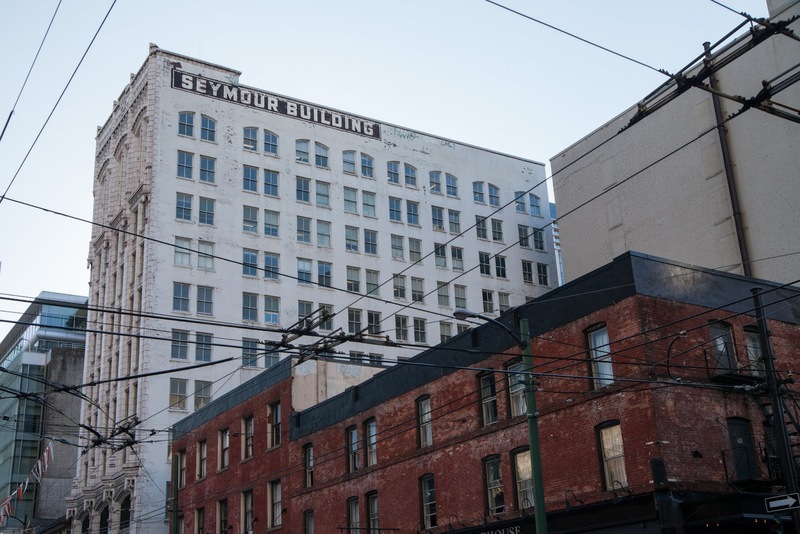 In Gastown there is a famous steam clock built by Raymond Saunders in 1977. Among only few similar clocks in the world, this one is the oldest and definitely the most famous one. 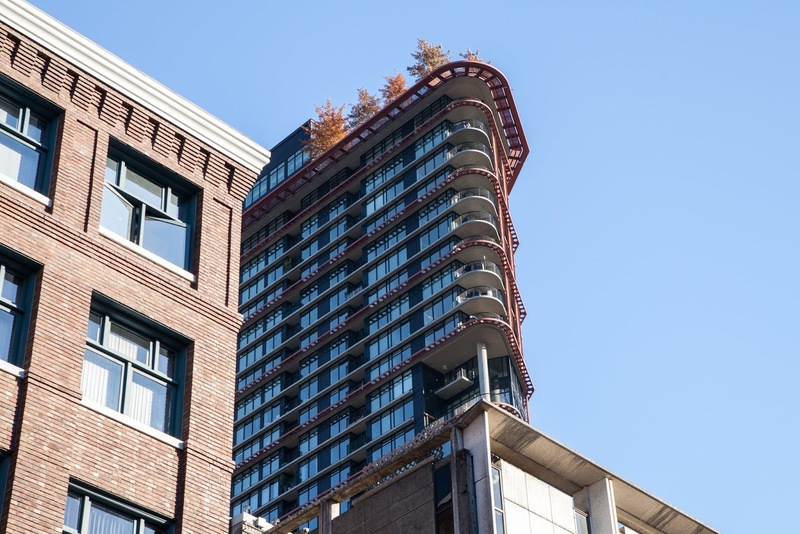 Vancouver's contemporary building with a rooftop garden. 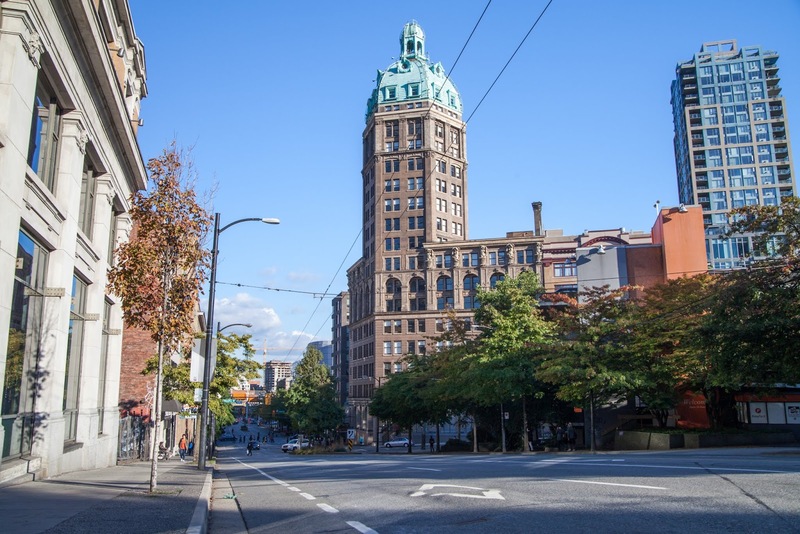 One of the oldest buildings in Vancouver - Sun Tower. When this building was built in 1912, it was the tallest building in the entire British Empire. Its height is 82 meters. 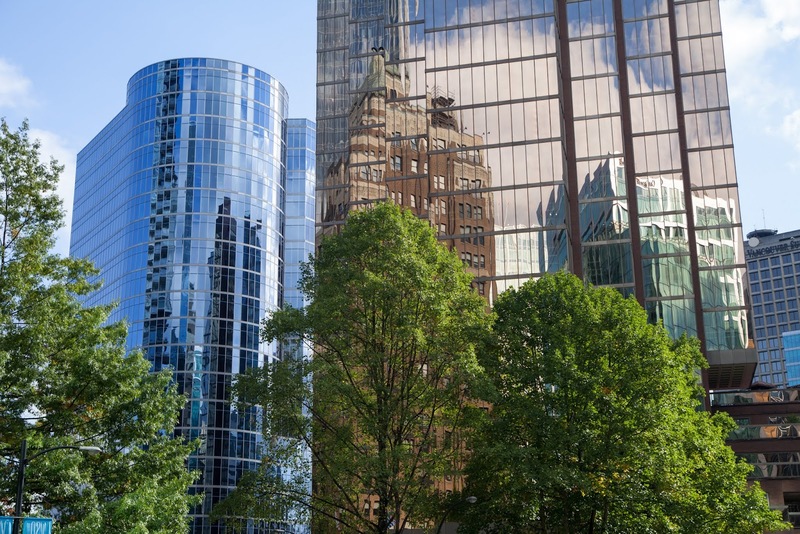 A few more examples of Vancouver's fine architecture. Next time I'll show you a true Vancouver's hidden gem - the one I traded Stanley Park for.